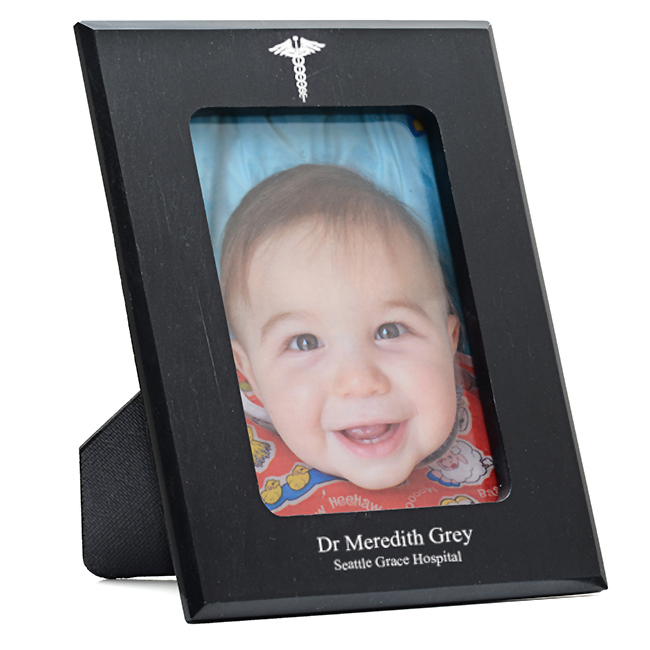 FEATURES/SPECS Help your favorite doctor, nurse or medical professional keep their loved ones close to them with this laser engraved black marble picture frame for medical professionals. 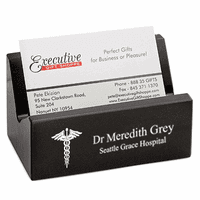 It is made of solid black marble and holds a standard five by seven inch photograph. The back is lined with velvet and has an easy folding kick stand that will display a picture either sideways or vertically. 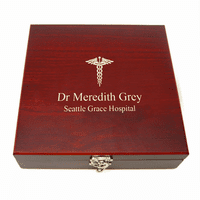 The bottom border of the marble frame comes laser engraved with the Caduceus medical emblem. 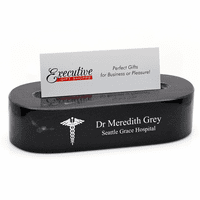 Add your own custom inscription to the right of this free of charge, just check the Personalize It box above. The laser engraved produces a permanent white marking, a beautiful contrast to the black marble. 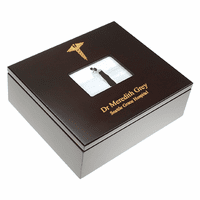 This personalized medical symbol photo frame will become a treasured keepsake for your favorite doctor or nurse. Dimensions: 7 1/2" x 9 1/2"